I bought some more records from Aram. He posted a list of Champion and Betrayed records on the Livewire Records messageboard, and when I saw that he was selling a copy of the Euro tour pressing of Promises Kept, I jumped on it. Nothing too special about the pressing, just grey vinyl with blank, white labels, made for their European tour. Still, I've found this pressing rather difficult to find. The couple of times that I've seen it on eBay, it went for more than I was ready to spend. 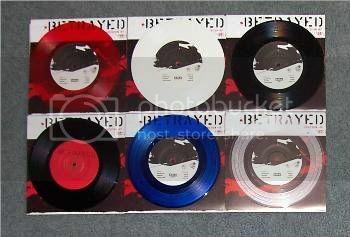 Getting this pressing finishes my Promises Kept collection. 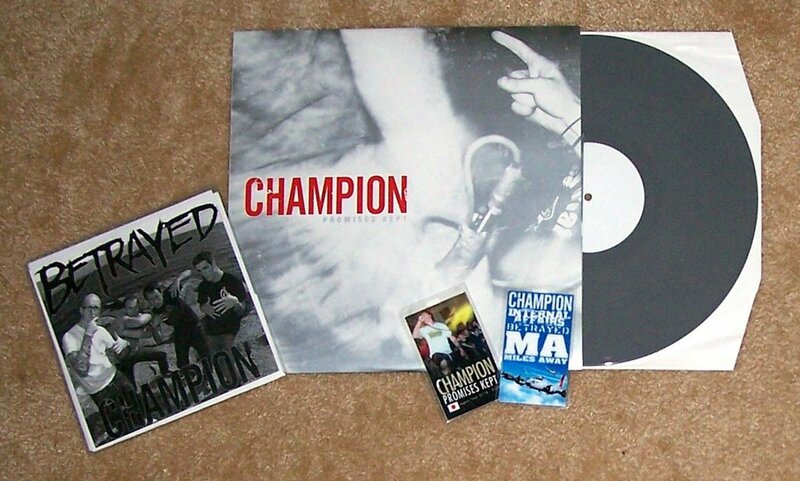 Another record that he set aside for me was the Betrayed last show pressing of the Champion/Betrayed split 7". I can't remember how many were pressed of this record, but mine is #183. As a cool little bonus, Aram also threw in a couple of laminated tour passes from the Australian and Japan tours. Two of the best bands from the past few years. Two more Have Heart 7 inches for the collection. The demo on yellow is limited to 125 and What Counts on white only had 225 pressed. What more can I say about this band? In my list of favorite Boston Straight Edge bands, these guys would easily make the top 5. When I saw them at the End of Summer Jam in August, the singer, Pat Flynn was talking about being proud of his edge. I'm 36 years old and there is still something about straight edge pride that gets me excited. Another trip to Boston, another stop at Nuggets for some record shopping. Rob and I headed down for the Celtics season opener against the New Orleans Hornets on November 1st. We started the day off right with some NBA2K7 on the Xbox 360, and then we stopped at Chicago Dogs for lunch...that place has the best veggie dogs. I had told myself that I wasn't going to go crazy and spend a lot of money at Nuggets this time. I was going to check to see if they had the import Black Sabbath record with the shiny, foil-like cover, and that would probably be it. 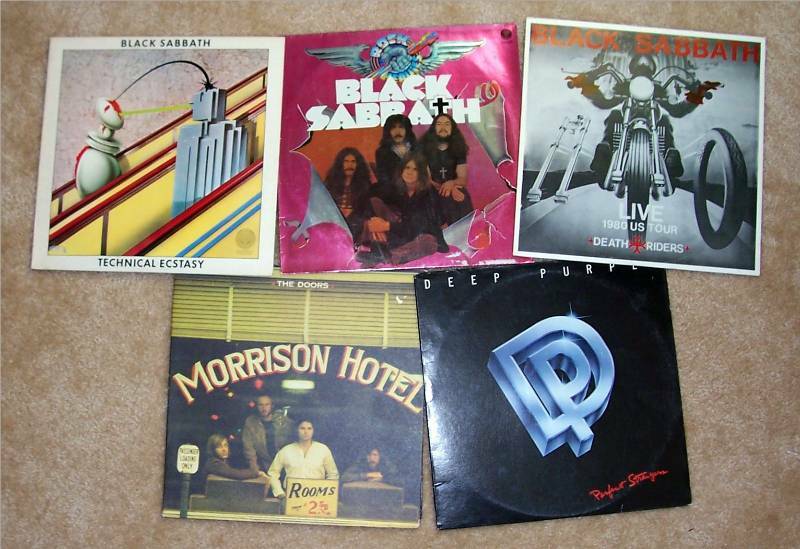 Well, once I started flipping through all the records, I kept finding things that I couldn't pass up. 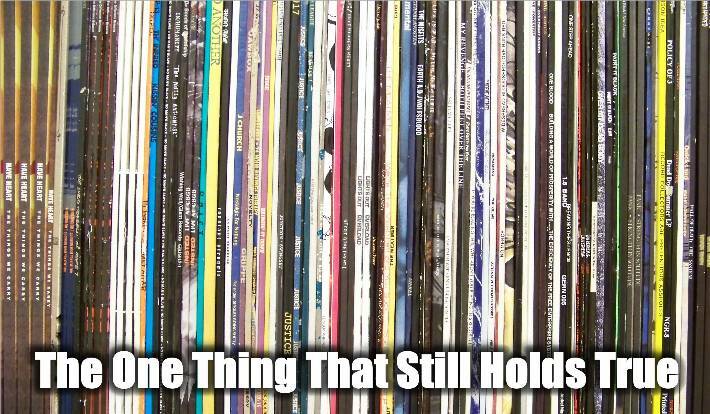 Before I knew it, I was holding $50.00 worth of vinyl. Black Sabbath - Rock Heavies : This was the one that I almost picked up the last time I was in the store, but ended up putting it back. I was crossing my fingers that it would still be there this time around, and I was lucky enough to find it was still here. This is an odd collection of Sabbath songs, coming only from the last two Ozzy-era Sabbath records. German import. Black Sabbath - Death Riders : This is a live bootleg from the Heaven and Hell tour. The sound is great, and I thought that it would be a fun addition to the growing Sabbath collection. 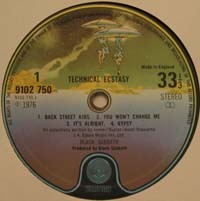 Black Sabbath - Techinal Ecstasy : The main reason why I bought this record was for the ultra-cool record label. Sweet looking U.F.O. 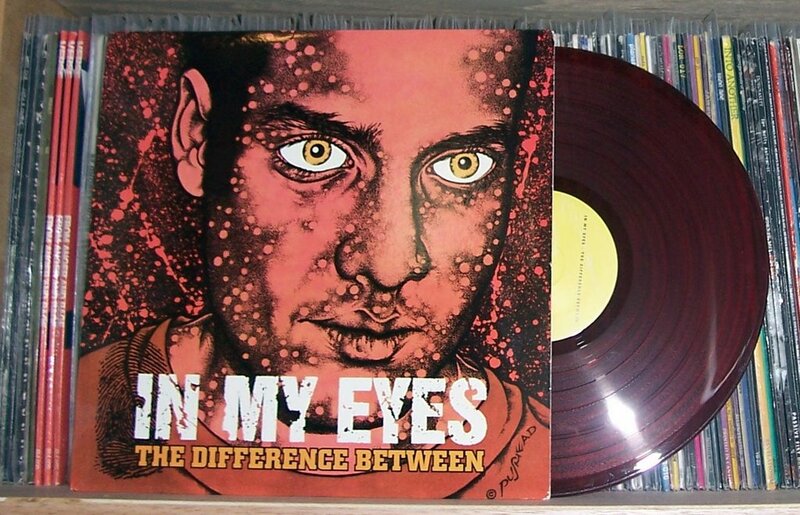 artwork from this UK pressing. The Doors - Morrison Hotel : I had never heard this particular record before, but I have been loving The Doors, so I figured that I couldn't loose. It was only 6.99, and the record cover and vinyl was dead mint. I can't express how pissed I was that in the process of removing the price tag, the album cover received a small surface tear. Grrrrrrrrrrrr. Deep Purple - Perfect Strangers : Another record that I had never heard before, but figured I couldn't loose since it had a $2.99 price tag. I was surprised by how much I enjoyed this record. Classic Purple line up. After record shopping, Rob and I found some parking and set off to kill some time before the Celtics game. We had a great time walking around Quincy Market and saw the Comedy Connection where he would be doing a show the following week. We got to the Garden for the game and got in line early to get the Red Auerbach commemorative pin. Before the game, there was a special remembrance ceremony with Paul Pierce dedicating the season to the legendary Celtic leader. 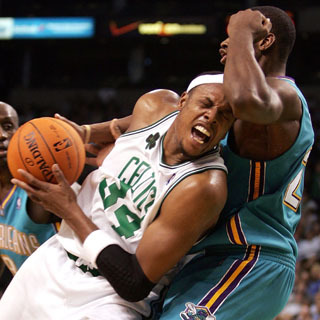 Game time and the Celtics were disappointing, and ended up dropping the game to the Hornets. All in all, it was still a fun day out in Boston. 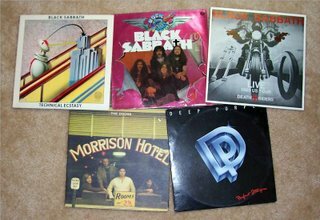 A while back, someone on the B9 messageboard was desperate for cash, and was selling stuff from his record collection. When I saw The Difference Between by In My Eyes on red, I immediately emailed him with an offer. I was extremely grateful that he took me up on it. This was the last rare In My Eyes that I needed. 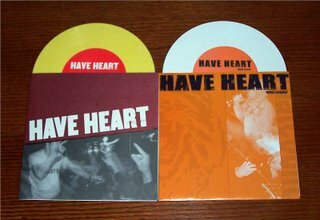 It is limited to 104 pressed, and the only time that I had seen it on eBay, I was outbid. 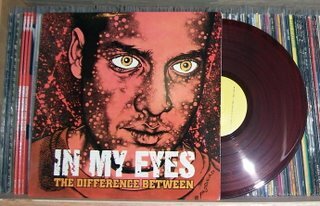 I had originally thought that this completed my collection of In My Eyes records, but I am missing both of the LP's on black vinyl, so I guess you can't really call it complete.